When it comes to designing your new luxurious bathroom it can be difficult to know where to begin. That’s where Concept Virtual Design can help – we offer a complete design and planning service to create a beautiful bathroom you will enjoy for years to come. There are many elements of the room to consider when planning your new room. From choosing a floor covering that’s easy to keep clean and ideally heated too – there is nothing worse than stepping out if a steaming hot bath or shower onto a cold floor, to beautiful wall coverings that work in harmony and complement your flooring and stunning chosen suite. Storage can be a huge problem in bathrooms and they can easily become cluttered. During the design process we will utilize every area of the room ensuring we create the best possible space and areas for you to keep all those bathroom essentials. This will help you in keeping your new luxury bathroom looking clean and minimal, a haven where you can enjoy getting ready in to start the day ahead and wind down in during the evening. Your bathroom will be bespoke to you and your requirements. 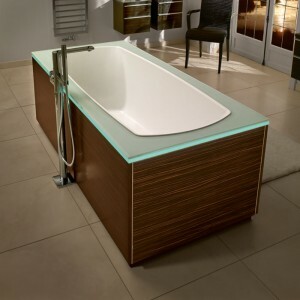 If your one that loves a good bath then your priority will be selecting a bath that is big and roomy with some jets to create extra bubbles too. For shower fanatics a large walk in shower enclosure is a must have complete with multiple shower heads and jets. If space permits why not consider adding a steam shower or sauna for the ultimate in luxury bathrooms. We will discuss all the options for you when we create your own individual 3D virtual setting out plan. You may like to choose from the many high tech fittings we offer to complete your new bespoke bathroom such as toilets with heated seats to automatic taps. If you so desire you can have a television fitted above the bath or in your wet room or have the option of being able to play your choice of music into the room. Once your new luxury bathroom is complete its time for the final finishing touches such as candles, fresh flowers and a fluffy bath robe complete your new bathroom and then to enjoy it! This entry was posted in A3 Colour Design Service, Luxury Bathrooms, Luxury Interior Design, Luxury Steam Rooms and tagged luxury bathroom design in Berkshire, luxury bathroom design in Surrey. Bookmark the permalink.